Stop wondering what you're doing this Saturday, drop a few dollars in your pocket and roll out to the Mattole Grange, July 23 for the 27th annual Roll on the Mattole from noon to midnight ($25, $20 students/seniors, free for kids 12 and under with an adult). The Roll is a full day in the sun with friends, food and firefighting bad-assery. In a word, hot. The fun starts at noon with music by the Bluff Creek Boys, and the beat goes on all day with performances from Mehael Kavanaugh, Lost Coast Marimbas, Black Star Safari, Non-Prophets, Vidagua and Stevie Culture. Boogie and mingle with the good-vibed crowd, check out the local craft vendor booths, enjoy beer and barbecue, and watch the kids romp in the Kid's Zone. 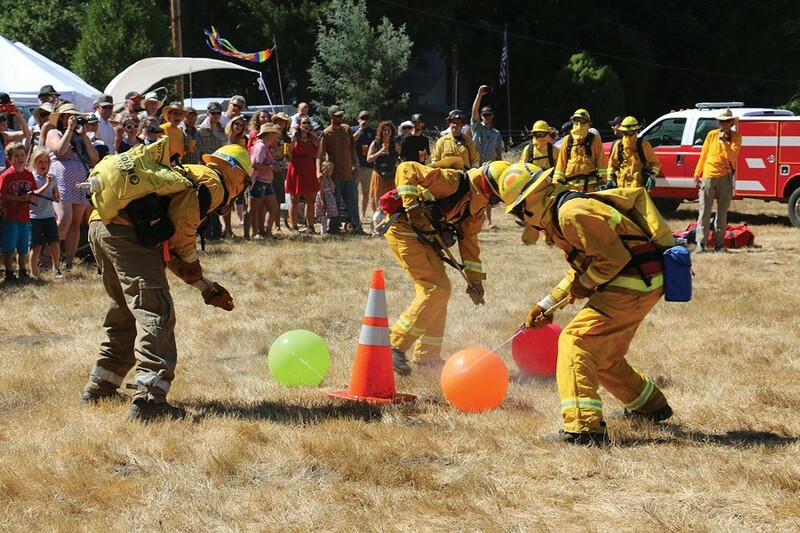 Things heat up from 4 to 6 p.m. with the Wildland Firefighter Challenge, where crews from the Honeydew, Petrolia, Whale Gulch and Telegraph Ridge volunteer fire companies/departments compete in drills (in full firefighting gear) for the sought-after "trophy." This is tough work. And, did we mention, it's hot? After the challenge, there's an auction raffle and more music and dancing. The HVFC is 100-percent volunteer run and a nonprofit, so the money raised at the Roll allows it to keep doing what it does — protecting and serving the four neighborhoods of Wilder Ridge, Panther Gap, Windy Nip and Honeydew. So come on out, have a great time and support your local firefighters.